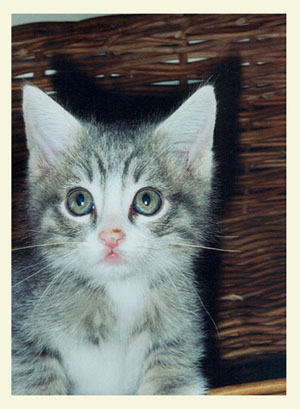 Hi, my name is William.I am a grey striped cat with four white feet. Besides just being the cutest cat in the world, I have dedicated my life to share the simple virtue of style and gracious living with other kitties…ever since I was rescued from the pound. It is my mission to transform even the scariest alley cat from drab to fab! So, what are you waiting for? You’ve only got nine lives – so live them to your fullest. Please browse our celestial selection. I am convinced you’ll find something you love.